I have used and appreciated chiropractic care for the majority of my adult life. It wasn’t until more recently that I was educated about the benefits it can have for fertility challenges. It makes so much sense to me. Our body’s should be looked at and treated as a whole. I was grateful for the opportunity to dig deeper into this topic with Dr. Jenna Smaby. She is the owner of Paragon Chiropractic and Wellness Center. Chiropractic may not be the first thing that pops into your mind when you consider options for getting pregnant, but research shows it just may hold important keys to the fertility problem sweeping our nation. Chiropractic care is based on entire body wellness, not simply treating one symptom with a drug or surgery. 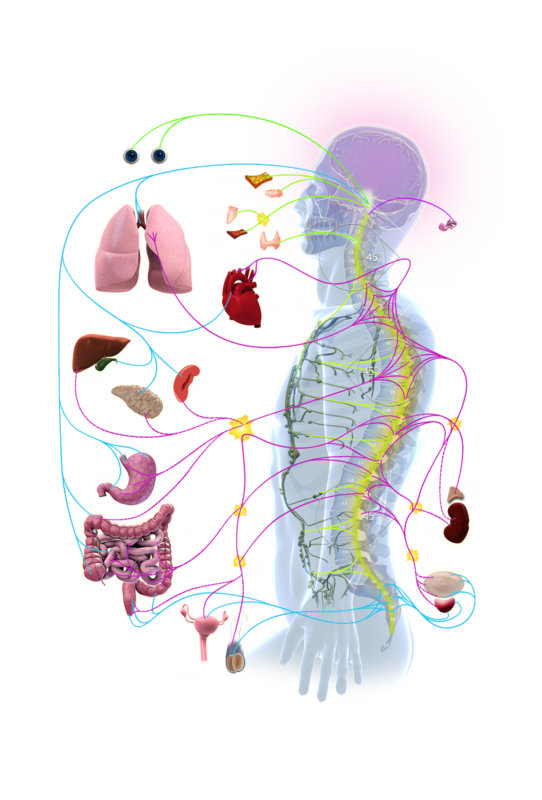 Your nervous system is the master system of the body. It controls and regulates of every cell, tissue, organ and system of your body. The spine, especially in the lower back, can impair nerves that direct and monitor the reproductive and hormonal systems. Chiropractors call this interference a subluxation. Three common symptoms that may indicate nervous system disregulation. • Over activity – such as heavy bleeding or severe cramping. • Under activity – including missed periods or fertility challenges. • Distorted activity – cells that normally line the uterus, implant elsewhere causing bleeding and pain. According to the International Chiropractic Pediatric Association, research shows that any misalignment in the spinal column can impact nerve impulses. When it comes to fertility, blocked neurological signals can seriously impact the pituitary as well as hypothalamus, creating problems with hormone balances. Hormonal imbalances are the top cause for fertility issues. It’s vital to have a healthy spine in order to have a healthy reproductive system. Following treatment I encourage women to take the next 24 hours and just LIVE LIFE! That may sound silly, but too often women struggling with fertility issues become so laser focused on that one topic that it paralyzes them from pursuing the rest of their goals and dreams. I challenge them to embrace what makes them happy and give their minds a vacation; if only for a night! Adjustments are designed to reconnect the brain and body therefore allowing it to do what it’s designed to do: heal, grow and thrive. Continually reminding ourselves of that fact and truly trusting in our bodies can provide reassurance and peace. She included many of my faves on her home care list as well: Nutrition! Move your body! Yoga! One of the major premises of chiropractic philosophy is that normal nerve function is essential to good health. The spinal cord, which sends nerve impulses between the brain and the organs and tissues of the body is protected by the spine. Spinal misalignments block normal nerve function. When nerve function is blocked, dysfunction and disease may result. Chiropractic adjustments restore proper alignment thereby supporting proper function to the nervous system, which promotes an increased state of health regardless of the presenting problem or complaint. So with that said, we start with the system that controls all other systems: The Nervous System. We utilize Insight scanning equipment that very accurately pinpoint any areas of their nervous system that may not be functioning optimally. For example, if the nerve flow responsible for regulating and controlling the ovaries, uterus, fallopian tubes, hormonal centers, etc., is restricted, we deduce that communication and function may be compromised. We then set our patients up with a plan to restore and regain proper balance and function. Dr Jenna obtained her undergraduate degree at the University of North Dakota and her Doctorate in Chiropractic at Northwestern Health Sciences University in Bloomington, MN. Her inspiration and passion has always centered around the beauty in families. Find a practitioner that you can trust. Ask if they work with fertility challenges. Track your results. Just as importantly… LIVE that beautiful LIFE!